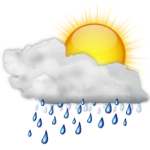 Saturday February 16th is expected to be mostly cloudy, a few rain showers, widespread at times, with the hi to be near 19°C/67°F, and the low to be 16°C/60°F. 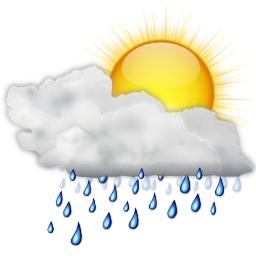 The Bermuda Weather Service’s forecast for Saturday says: “Winds southwesterly light to moderate, increasing moderate by afternoon”. There is a small craft warning valid for tonight and a gale warning valid late tonight through Monday afternoon. The sunrise will be at 7.01am and sunset will be at 6.05pm. High tide will be at 12.17am and 12.26pm, while low tide will be at 6.43am and 6.26pm.